Food Network: Cook or Be Cooked! With inviting introductory lessons for the novice cook or for "foodies" who want to put their gastronomic skills to the test, Food Network: Cook or Be Cooked! will provide everyone with the proper instructions to become a star chef no matter the experience level. Designed in collaboration with the executive chefs of the Food Network Kitchens to ensure authenticity, Food Network: Cook or Be Cooked is a fun and entertaining game that can improve a player's cooking skills. Utilizing the Wii motion control capabilities, players will learn as they play through fun and delicious recipe challenges that range from breakfast to family dinners. 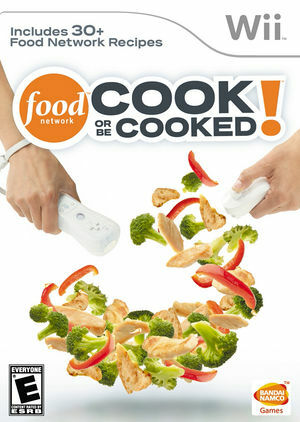 The graph below charts the compatibility with Food Network: Cook or Be Cooked! since Dolphin's 2.0 release, listing revisions only where a compatibility change occurred. This page was last edited on 18 January 2018, at 00:38.